Besides the bonding and outing activities organized by the company, VPMBr employees also spend their quality time to self-organize charity event with hope that their support can make a great contribution to the society. This time, VPMBr employees headed to Trung Hung 3 primary school at Co Do town, Can Tho province, which is located about 50km away from Can Tho city center to see what we could do to help the kids there. Even the school area is quite big but in total there are only 10 small and simple rooms which include teachers’ and principal’s rooms. We were brought to the library which was just a small room with only 2-3 rows of books, old book shelves and even doesn’t have any table/chairs for students. 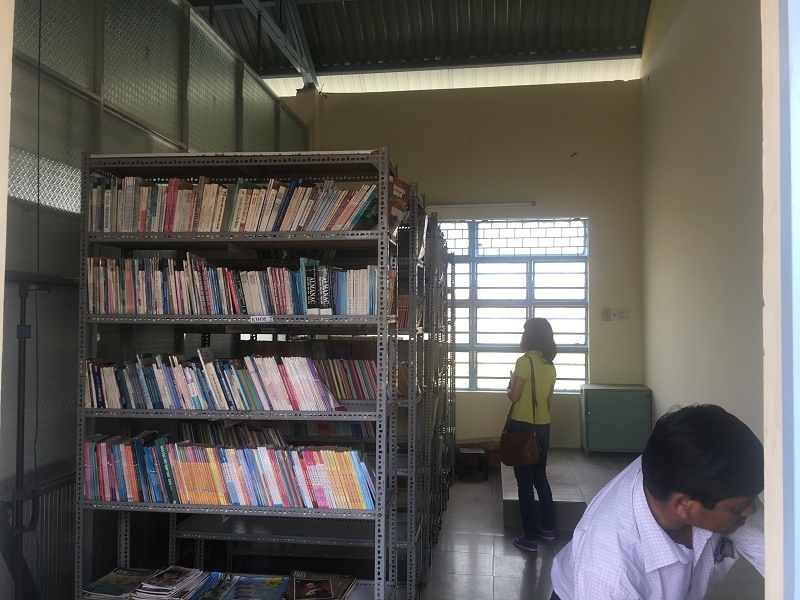 In that moment, we understood what should we do and we discussed with the principal about what we – VPMBr employees could support for school’s library. It’s time to do our mission. We helped to arrange classrooms, cover books that donated from our employees till night without feeling tired. Even though we have the warmest dinner with the teachers, we needed to leave to prepare for tomorrow – the first day of semester and the most important day of the trip – Book Giving Day! 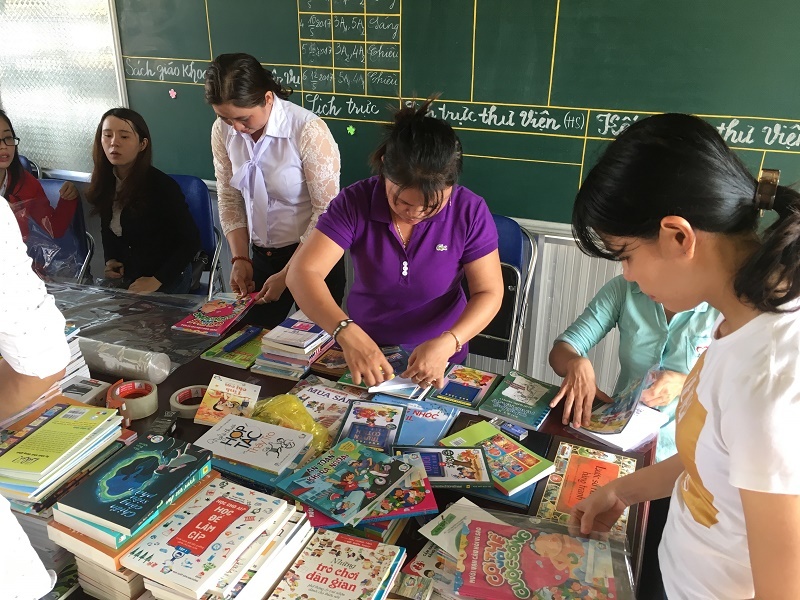 Book selection and arrangement with the help of teachers at the school. Early in the morning, all of us woke up very early to celebrate the start of school year with the students. Everything was ready and students were lining up and walking into school while we were helping to organize stuffs for the library. We were very touch when the principal called our company name and gave us certificate for what our company as well as our employees had done for the school, for the students. The moment we were on stage, all exhaustion disappeared. It was a long journey to get to the school but we were all proud of what we did. We were so lucky and honored to do meaningful works on behalf of you – all of employees of big family VPMBr. 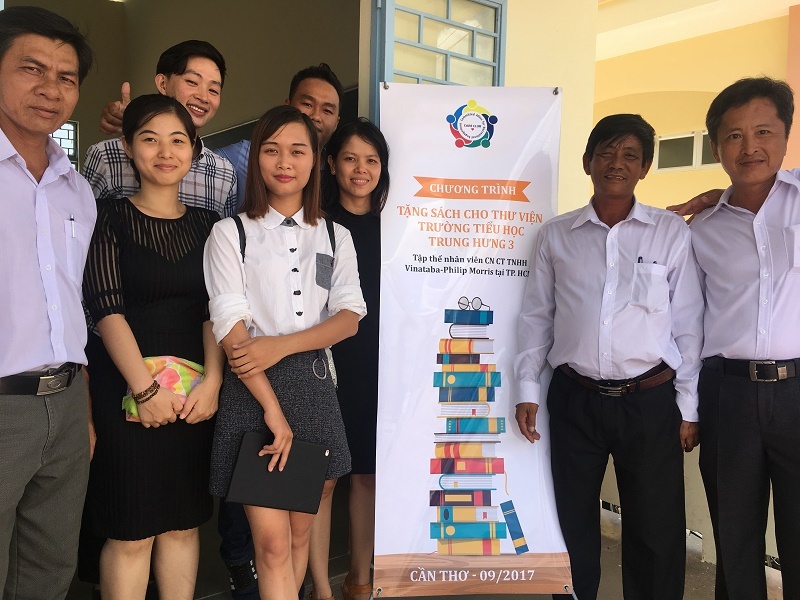 Our employees with the teachers of Trung Hưng 3 schools after the book giving ceremony.